The School zone from the corner of Swanson Road and Sturges Road to the corner of Sturges and Hercules Drive. Down to the bottom of Hercules and to the bottom of Xena Way. Turn right and run along Paremuka Stream until the bottom of Chelmsley and then across country to 218 Metcalfe Road. From Metcalfe Road to the railway tracks. 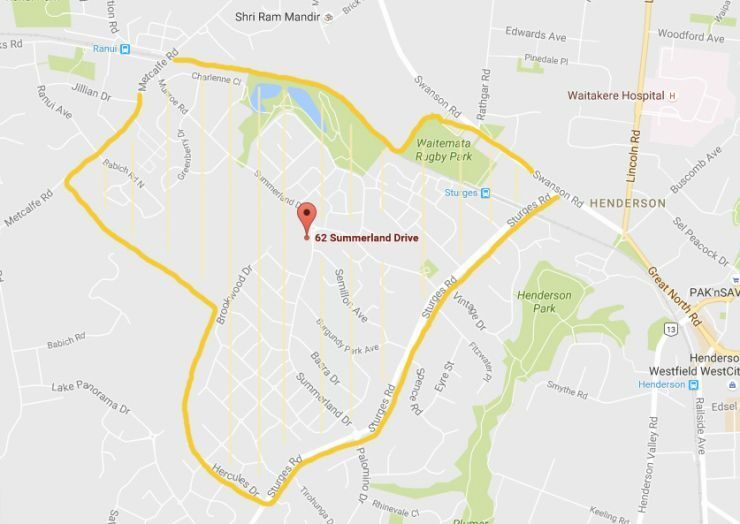 From the railway tracks to Waitemata Rugby Club, through the clubs main entrance driveway continuing along Swanson Road to the corner of Sturges Road.The zone runs down the middle of all roads mentioned with those on the Summerland Primary side of the road being “in zone”. The school is currently very full and there are no places for out of zone students. If you are unsure whether you child is eligible, please contact the school office.